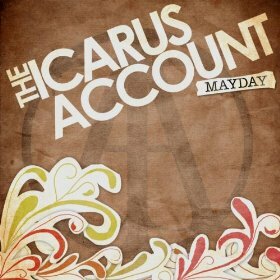 The Icarus Account are one of my favourite bands ever. The twin brothers are known for their beautiful acoustic tracks and I'm always listening to them. This week in particular, I've been listening to Proud a lot. It's the most stunning song, with the perfect guitar line and the loveliest vocals. The song is ultimately about wanting to make someone close to you proud, something we tend to feel often. I just can't fault it in the slightest. It's about saying goodbye to everything you're used to, and moving on and working hard to achieve your goals, whilst still looking back and missing certain things about the past and about home. And I suppose that idea coincides with being at uni, at least that's how I relate to it. 'I'll spread these wings and try to fly, and if I fail at least you know I tried' has such a lovely tone to it and it really captures the whole song for me. And the concluding lines just make me think of my mum: 'life can change so suddenly, so thanks for taking care of me, I hope that I make you proud'.